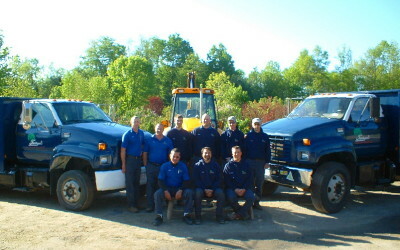 Faddegon’s has a total of eight landscape crews that turn our designs into a reality. Each crew is led by an experienced Foreman who knows the quality Faddegon’s customers have come to expect. Our eight crew Foremen combine for over 100 years of experience on the road with us, so you can be sure that your job will be completed competently and professionally. 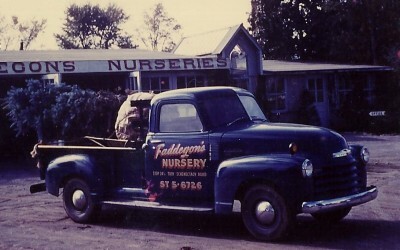 Jack Faddegon, president of Faddegon’s Nursery, is our designer-in-chief. Jack received his degree in Landscape Design from Cornell University. He has been creating and transforming landscapes in and around the Capital District since 1972. Denise has an Associates Degree in Landscape Development from SUNY Cobleskill. She has been with us since 1999, and her duties as Office Manager include estimating, landscape graphics, and customer relations. Rebecca has a Bachelor of Arts degree in English from SUNY Albany. She has worked in our landscape division since March of 2014 as our President’s Executive Assistant. She is the liaison between the client and the company and handles all administrative duties for the landscape office. Rob Lewis graduated from SUNY Delhi with a degree in Horticultural Studies. He has been a landscape Crew Foreman since 1984. His many years of on-the-job experience qualifies him to add estimating and sales to his wide range of skills.